Logistic and transport sectors have played critical roles in strengthening Canada’s economy through global trade and commerce. 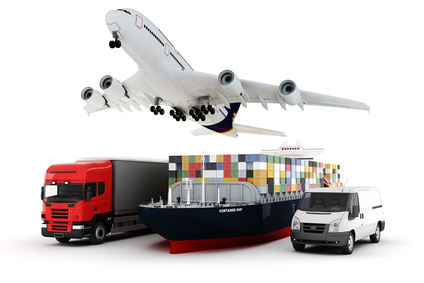 The Canadian government realizes the importance of an integrated logistics industry for economic growth and is taking a number of measures to ensure transportation is secured and monitored. Asian countries, such as India and China, are urbanizing and growing, which further emphasizes the importance of an integrated transport network. The growing population, within the Asian business hubs, makes them one of the biggest consumer markets in the world. Every 18 months, India sees an increase in their population that is equivalent to the total population of Canada. To make a successful transition from a moderate-growing economy to a fast-growing economy, Canada needs to strengthen their shipping and port infrastructure to meet the demands. Additionally, Canada needs to be an active part of the global economy and fulfill the requirements of forging long distance trade links. Canada’s transportation industry has always played a vital role in supporting their country’s economy. It has made the country a part of the global financial transformation. The sector has also served the purpose of shielding Canada’s economy from the aftermath of the global financial crisis. Due to the location of Canada and a well-developed logistic industry, every country is connected to Canada via roads, marine routes or aerial gateways. This is one of the primary reasons that Canada is considered to be one of the biggest hubs for foreign investors. Another area of strength for Canadian ports, especially from an international perspective, is how the federal and provincial governments have come together to invest in the Asia-Pacific Gateway. About $9 billion dollars of investment has being poured into the BC ports alone. Comparatively, that is far more than the $6 billion dollar expansion of the Panama Canal. The Canadian government is heavily involved in the logistics’ and ports’ infrastructure. This is a great advantage, since Canada is a trading nation and their ports are critical to the nation’s success. The ports are able to plan for long-term needs in a structured way, which helps both the provinces and the nation. As an example, the ports of the Lower Mainland of BC provide at least $6 million dollars per year in taxes to municipalities, which helps fund municipal services. Dividing the entire logistic sector in three major gateways, helps the government supervise all the operations and ensure secure transportation of goods. Moreover, there are a number of sub-gateways emerging from these gateways, which helps to avoid the problem of traffic congestion. Due to the logistic industry of Canada, Canada headquarters 75% of the world’s mining companies and holds significant shares in the growing consumer markets of India and China.